In the GDR lawnmowers were only produced by one company, the state-owned VEB Transformatorenwerk Berlin-Oberschöneweide. Normally a manufacturer of power plants, the company took responsibility for lawnmowers within the official 'consumer goods production' campaign. 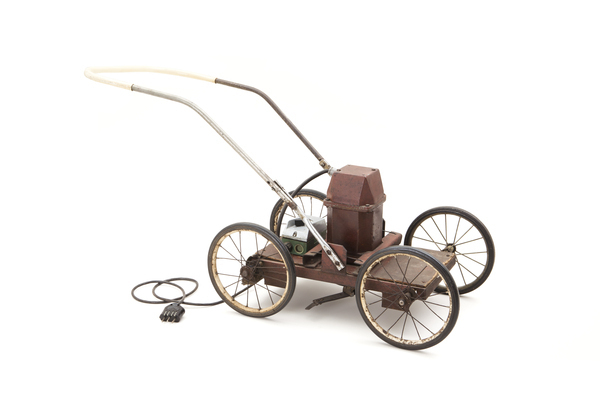 From 1963 on, they produced the 'Trolli' mower, although in insufficient quantities. To meet their personal demand, people started making the electric mowers themselves using all the means at their disposal. The basis for these capacities was laid by the ‘polytechnical’ skills that were part of school education and the dual vocational training that 90 per cent of the population had passed. The home-made lawnmower shown here has a baseplate of cardboard, wheels from a baby carriage, a mowing blade made of strip iron originally made for fences, and finally the electric motor was ‘organized’ from a nearby train repair facility where a friend worked. Access to materials was provided not only by good friends but also in a wide-spread sytem of private bartering, which in this case had helped make this pride of the garden owner. Abc des Ostens. 26 Objektgeschichten, edited by Dokumentationszentrum Alltagskultur der DDR. Cottbus, 2003. Alltag: DDR. Geschichten, Fotos, Objekte, edited by Dokumentationszentrum Alltagskultur der DDR. Berlin: Ch. Links, 2012. Fortschritt, Norm & Eigensinn. Erkundungen im Alltag der DDR, edited by Dokumentationszentrum Alltagskultur der DDR. Berlin: Ch. Links, 1999. Guter Rat, Verlag für die Frau, Leipzig, 1965-1990 (formerly Guter Rat für heute und morgen). Krössin, Dominque. “Wie mach ich´s mir selbst? Die Zeitschrift practic und das Heimwerken.” In Wunderwirtschaft. Die DDR-Konsumkultur in den 60er Jahren, edited by the Neue Gesellschaft für bildende Kunst,160-165. Köln, Weimar, Wien: Böhlau, 1996. Magazin für Haus und Wohnung. VEB Verlag für Bauwesen Berlin. Merkel, Ina. Utopie und Bedürfnis, Die Geschichte der Konsumkultur in der DDR. Köln/Weimar/Wien: Böhlau, 1999. Practic. Verlag Junge Welt, Berlin, 1967-1990 (formerly: Modellbau und Basteln). Trolli. Rasennäher aus Oberschöneweide.” In Abc des Ostens. 26 Objektgeschichten, edited by Dokumentationszentrum Alltagskultur der DDR, 44f. Cottbus: Regia Verlag, 2003. Wunderwirtschaft. Die DDR-Konsumkultur in den 60er Jahren, edited by the Neue Gesellschaft für bildende Kunst. 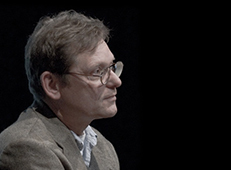 Köln, Weimar, Wien: Böhlau, 1996. In pre-electronic times, many people had sufficient manual skills to repair, modify or even construct artifacts of daily use beyond mass production. While for most people DIY is rather a leisure activity, in the GDR and other state socialist countries, it was also a necessity to overcome shortages in production and supply within the plan economy. Home-made things highlight the importance of a 'second economy' of self-organization as part of an up-coming consumer society in the East that was trying in many ways to match the West.